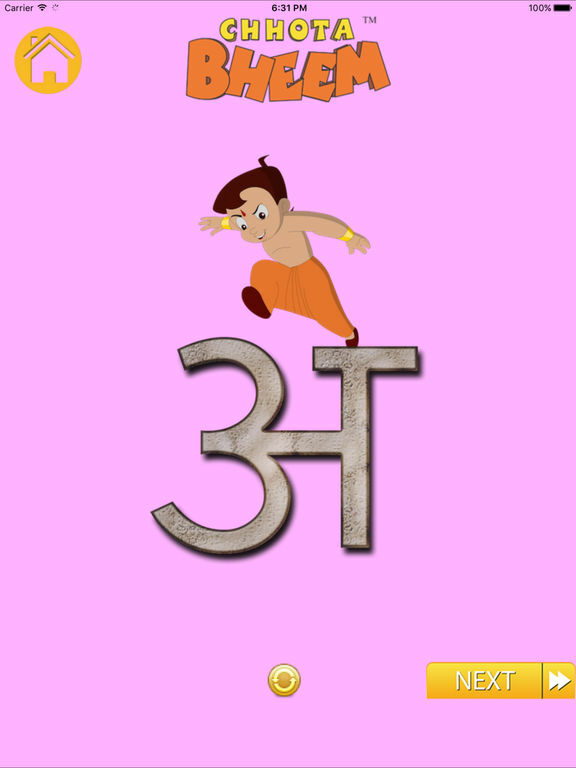 The App helps you learn Hindi in a fun manner using India's most popular kids character Chhota Bheem. 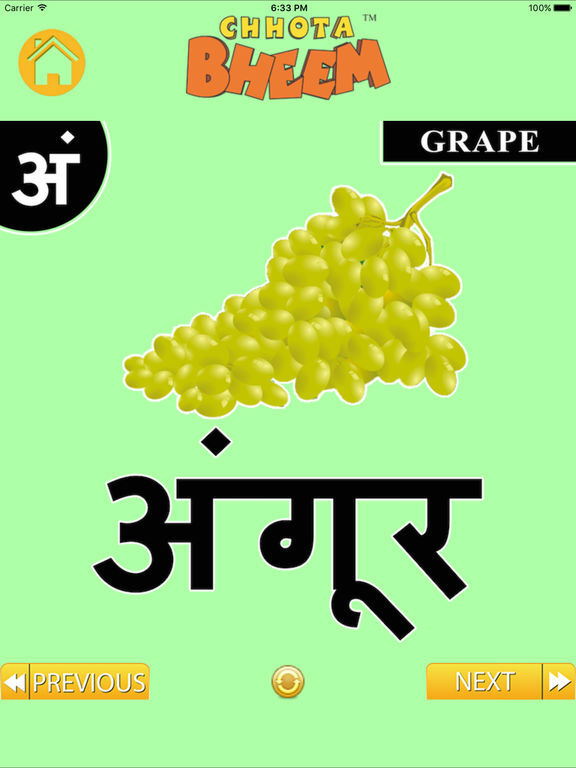 You will get to learn the pronounciation of the Hindi alphabets. You can also learn to write the Hindi alphabets by selecting a desired color and you can start writing over each alphabet following the directions marked along the letter. There are nice videos of Chhota Bheem and friends that will help you learn Hindi Alphabets and example Word for each letter.